I think that this is one day that I should say a word of thanksgiving as it was indirectly through St Augustine that I met my wife. It is a long and beautiful story that I shall tell sometime, but suffice to say that I feel a little indebted to this great saint. 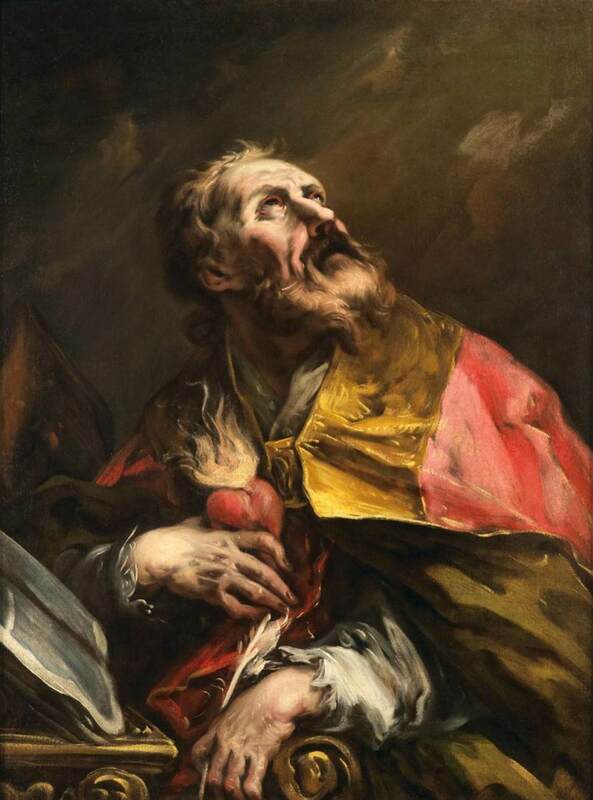 There is much that has been written about Augustine, how he had at least one son and possibly two, how his mother prayed hard that he would be converted and how that conversion came about. He was a prolific writer, writing over 5 million words in his lifetime. He had a superb brain and was one of what the church calls ‘the Latin Doctors,’ a group of men who wrote in Latin and were outstanding theologians. Augustine was born in 354 and spent his early life seeking wisdom in the philosophies of the age. His mother, Monica, whose feast day we celebrated yesterday, prayed every day for his conversion. It is something that we parents should do, we should pray for the conversion of our children and we have the promise of Jesus that such prayers shall be answered because such prayers are in accordance with his will. “I pray that not one of these little ones that you have given me shall be lost,” said Jesus at the last supper. So if we pray for the conversion of our children, or for anyone else, then the prayer shall be answered because it is what Jesus wants and anything we ask in his name, which is in accordance with his will, shall be granted to us.